We had earlier talked about the testing of Google Caffeine which was done at user end as well. 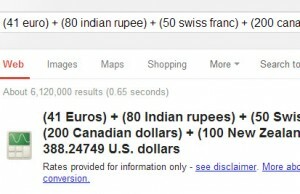 Finally Google has completed the new search indexing system implementation i.e. Google Caffeine. Thru this new search index style, Google will index new pages or updated ones very fast. This way it will always show the fresher content. Old system of indexing in Google was build on layer formula. In that, Google was indexing the web pages around the world in layered structure. Some of the layers were getting refreshed faster than others. 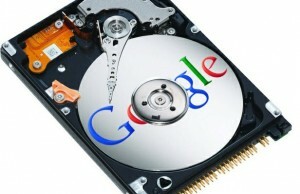 As per the announcement made by Google, the main layer refreshment was done in couple of weeks. I think that the different layers system was based on PageRank (PR). Which means if your site’s PR is more 7 then chances of your site’s pages for getting indexed on Google Search would be better than the PR#5 sites. But the new Caffeine system, the indexing is done on continuous basis, globally. If Google System finds new pages or updated ones, it adds them quickly. What Is Fresher Content and Why Helpful? For a good PR site, pages get indexed in few hours as well. But say it is a news site or a blog where the story was updated after few hours, then Google Caffeine will come to the page and cache the new content quickly. Updated story may include new Title, Description of the page as well which will definitely help people seeing the updated information on SERP. How Does Caffeine show Fresher Content? As in Caffeine system, Google Search indexing is a continuous process globally, it adds new information on search engine’s giant database quickly and then thru that database, it shows the fresher content. As Google has already started showing real time search results from twitter, now visitors will also able to see fresher information from blogs, sites, news portals etc. What are the Benefits of Google Caffeine for Pro Bloggers? If you are a professional blogger who devotes so much time in writing exclusive articles and creating buzz thru social media, your pages and posts will get indexed faster on Google Search. Google is the main source of traffic for most of the bloggers and if it starts indexing pages quickly, it will definitely help in getting more traffic. Of course the traffic would be organic. If you update your story in meantime, Caffeine will come to your site and index the change as well. This is definitely going to help bloggers who used to work on their frequency of new posts. WordPress bloggers should use All in one SEO plugin for Post Title, Description and Keywords. Build good back links and create buzz on different social media platforms like Twitter and Facebook. Submit your site’s content on Social bookmarking sites like Digg, Mixx, Stumbleupon etc.